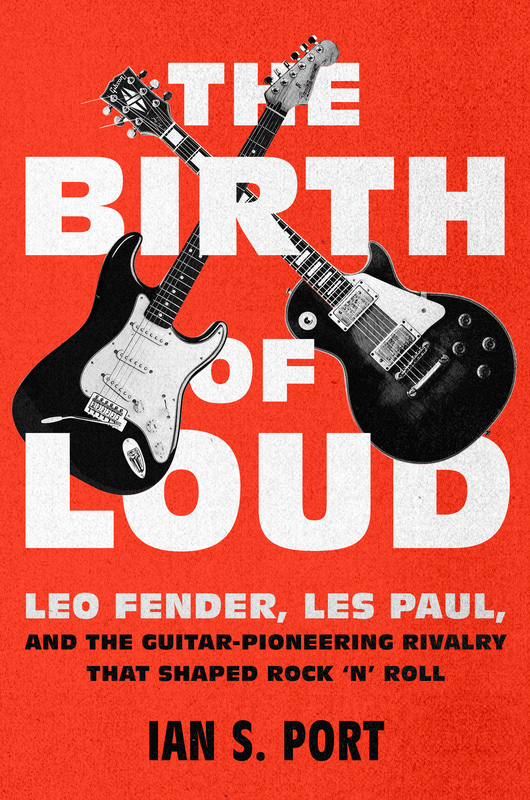 Editor's note: The following is an excerpt from Ian S. Port's The Birth of Loud: Leo Fender, Les Paul, and the Guitar-Pioneering Rivalry That Shaped Rock 'n' Roll, a new book out January 15. Port's book traces the birth of the solidbody electric guitar and features not only Leo and Les, but Paul Bigsby, Merle Travis, Muddy Waters, and other pioneers of the new instrument. 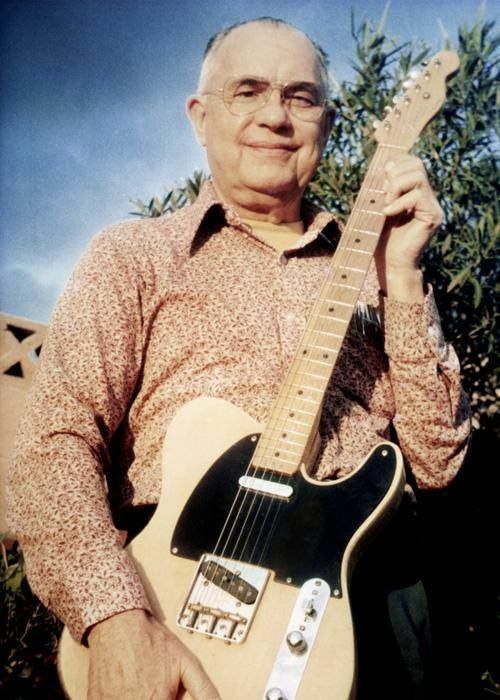 In 1947, Leo Fender brought Paul Bigsby over to Les Paul's Hollywood home, where they listened to country and western players jam and discussed how a solidbody guitar could combat volume and feedback issues. By the spring of '51, Bigsby had realized the goal with his custom guitar for Merle Travis and Fender had finally gotten the soon-to-be-named Telecaster into a legitimate production run. This is where the following section begins. "If you don't do something, Fender is going to rule the world." Hunching over his desk at the Radio-Tel offices in Santa Ana, Don Randall watched orders pour in for Fender's new Spanish electric guitar. In March, he reported working three or four nights every week until ten thirty p.m. and still falling behind. Exhausted and thrilled by May, before guitars had even left the factory bearing the new Telecaster name, Randall crowed about the order deluge in letters to his salesmen. Then he pushed them for more. "Our Spanish guitar is selling in quantity that surprises even us, but we still aren't doing a good job," he told one. Some dealers had ordered the Fender electric so long ago that they were surprised by its arrival, but most moaned about not getting guitars fast enough. At $189.50, plus $39.95 for a hard case, the Telecaster was a relative bargain, and Fender was setting new sales records every month. Randall still thought the company could do better. He remembered what it had been like to walk the floors of the trade shows and be laughed at by Fender's larger rivals in the East, to see his firm casually dismissed for even dreaming up a solidbody guitar. There was one thing, he knew, that would shut those naysayers up for good. That spring of 1951, there would have been no better endorser for the new Fender guitar than Les Paul, the most popular electric guitarist in the country. Getting a Fender Telecaster in Paul's pop-star hands would virtually guarantee massive sales and acceptance around the country—not just in California and the Southwest, where Fender was already popular. It would be a coup, nabbing this famous player from established firms like Gibson and Epiphone, whose instruments he'd always preferred. Don Randall knew that Leo and Les were friendly, and both Don and Leo desperately wanted Les to adopt the Telecaster. So one evening in the middle of June, Randall went to try to make it happen. "I was up in Los Angeles Saturday night, and talked to Les Paul," Randall wrote to a colleague on June 21, 1951. "[I] left him a guitar and amplifier to try this week, and he is going to give them a good workout and let me know his opinion. You probably know he has been using one of our Super Amps for a long time. In fact, it looks like he must have had it for a hundred years or more. This week, he is trying a Pro Amp and Telecaster guitar and his comments should be very interesting." To Les, Randall gave a translucent blond, two-pickup Telecaster with no name decal, its neck inscribed with the date 5-10-51. Les apparently thought the guitar was a prototype rather than a production model, more or less confirming Randall's impression that he couldn't be bothered to pay too much attention to either the guitar or the man delivering it. "This was the first occasion I had to meet Les and to watch him perform in person, and believe me, he is really a fine instrumentalist," Randall wrote. "However, he appears to be somewhat self-centered. Mary Ford is a very gracious person and very talented. She sings beautifully and plays the guitar better than nine-tenths of the people playing today." Self-centered or not, Les Paul mattered enough that Randall eagerly awaited his verdict. Les later recalled that there with the Telecaster was a note from Leo, asking him "to look at [the guitar] and think about it." Here was an instrument that embodied the ideas Les had long championed, a solidbody guitar that showed the way to the future. Leo wanted Les's endorsement, but business may not have been his only motive. Leo would've wanted to show his friendly rival what he'd been up to—to brag, just a little, in the quiet, matter-of-fact way he did everything. The advances that Les, Leo, and Paul Bigsby had talked about on those afternoons in Les's backyard were reflected neatly and powerfully in the Telecaster. What had been just wild notions, near-hunches, were now a commercial product, modestly priced, practically designed, and available in music stores all around the country. They'd all been working on the same problem, and Leo believed he'd solved it—not just for a few well-heeled professionals, as Bigsby had, but for guitar players everywhere. "This is where I'm going," Leo told Les around this time, as Les recalled. "Would you like to come and be a part of it?" Les thought joining with Fender might be smart. Leo had shown the ability to realize a radical and controversial idea. The Telecaster was now a guitar that regular working musicians could buy, one strikingly different from anything else hanging in a music store. A partnership with Leo "first hit me as a swell idea," Les recalled. Then he started to consider his long, on-and-off relationship with Gibson, whose guitars he'd loved since childhood. The Fullerton operation, though it had a revolutionary new product, was still tiny. 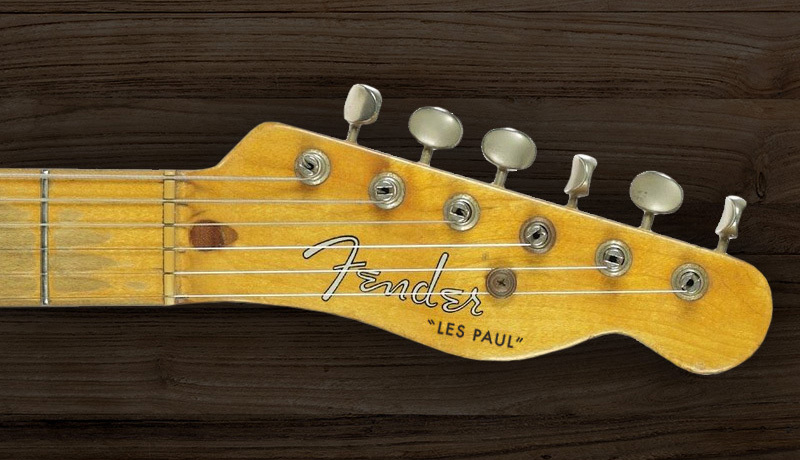 "There was no Fender then," Les told an interviewer—which, while incorrect, suggests the meagerness of Fender's national impact. "There was just Leo planning to do this." Gibson had turned down Les's idea for the Log a decade earlier, and Les now played mostly Epiphones he'd modified himself, but he still felt a connection with the prestigious Michigan company. Crucially, Les also decided that he didn't really like Leo's Telecaster very much. The sound of it was too bright and sharp for him. The design was too plain, too straightforward, too unlovely. The Fender was a common man's guitar, and Les had always viewed himself as exceptional. When Leo came to ask what Les thought of the instrument, and brought up the possibility of an endorsement, Les had bad news. "I told Leo, 'Geez, you know, I've had a great relationship with Gibson all these years, and it's part of the biggest instrument company in the world, and I'd like to take another shot at doing a guitar with them before I make a move.'" Les just wasn't ready to give up on Gibson, even though Gibson had laughed at his last big idea. In his autobiography, Les claimed that Leo understood this decision. "He was okay with me not wanting to abruptly jump into something new."